The only easy day is yesterday. BUD/S (Basic Underwater Demolition/SEAL) training is known for being the toughest, meanest, most physically punishing program in the entire US Navy, and a new crop of tadpoles have arrived in Coronado eager to prove their worth—to make it through Hell Week, and become US Navy SEALs. Although Izzy prefers assignments out in the “real world,” he’s glad to be an instructor for the current BUD/S class, because it allows him to spend time at home with his wife, Eden, and her lively and lovable extended family. Eden’s sixteen-year-old brother, Ben, is dealing with a new crush and a homophobic bully in his high school, but it soon appears that things are not as they seem. Meanwhile, Eden’s other brother (and Izzy’s SEAL teammate and former frenemy) Danny Gillman and his wife Jenn have just had a baby who has colic and cries constantly. As Ben deals with the type of too-serious high school drama that could involve a body count, and Danny and Jenn juggle a new baby, lack of sleep, and postpartum blues, Izzy is intrigued by “Boat Squad John,” a misfit team of young SEAL candidates all named John, including the intriguing young Seagull, his swim buddy Timebomb, and Seagull’s nemesis Hans. Does Seagull have what it takes to keep Boat Squad John still standing when the dust of BUD/S Hell Week settles or will they ring out? 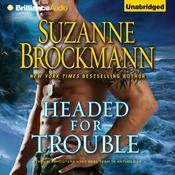 Set in Coronado during BUD/S training Hell Week, in Ready to Roll Brockmann introduces the SEAL officer and instructor nicknamed Grunge—Lt. Peter Greene—as she delivers what she does best: a story celebrating the US Navy SEALs—and the women (and sometimes men) who wholeheartedly love and support them. The only easy day is yesterday. BUD/S (Basic Underwater Demolition/SEAL) training is known for being the toughest, meanest, most physically punishing program in the entire US Navy, and a new crop of tadpoles have arrived in Coronado eager to prove their worth—to make it through Hell Week, and become US Navy SEALs. Does Seagull have what it takes to keep Boat Squad John still standing when the dust of BUD/S Hell Week settles or will they ring out? Set in Coronado during BUD/S training Hell Week, in Ready to Roll Brockmann introduces the SEAL officer and instructor nicknamed Grunge—Lt. Peter Greene—as she delivers what she does best: a story celebrating the US Navy SEALs—and the women (and sometimes men) who wholeheartedly love and support them. Ready to Roll is a novella made up of various story formats, from first person accounts written like a screenplay, with actions like “smiles wryly”, and actual storylines told in 3rd person. It takes place in the Troubleshooters world, in Coronado, California, 2010, with references to many of the Troubleshooters characters. It’s Hell Week for the most recent crop of SEAL BUD/S trainees, and Izzy is one of the trainers, making him the central character of this novella. His brother-in-law Ben, still in high school, is the other central character who is going through some rough times with his arch-nemesis, a surly football player in his class. Tensions between the two ratchet when Ben learns the other boy is not only deeply closeted but also experiencing abuse at home. 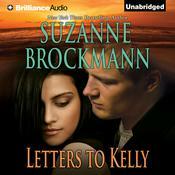 Suzanne Brockmann is the author of more than fifty novels, many of which are New York Times bestsellers. As one of the leading authors of romantic suspense novels, she was awarded the 2018 Nora Roberts Lifetime Achievement Award, one of the highest honors bestowed by the Romance Writers of America (RWA). Her work has earned her numerous other awards, including two RITA Awards, four best-of-year awards from RT Book Reviews, and RWA’s #1 Favorite Book of the Year award.